Magog, Qc, October 5, 2017 – Camso continues to grow its tire service and distribution presence in Texas and Louisiana with the acquisition of Stanley Industrial Tires. With a strong and dedicated team of tire specialists and service technicians in three locations in Texas (Dallas, Waco, and Gladewater) and one in Louisiana (Shreveport), Stanley Industrial Tires is a great addition to Camso’s existing footprint. 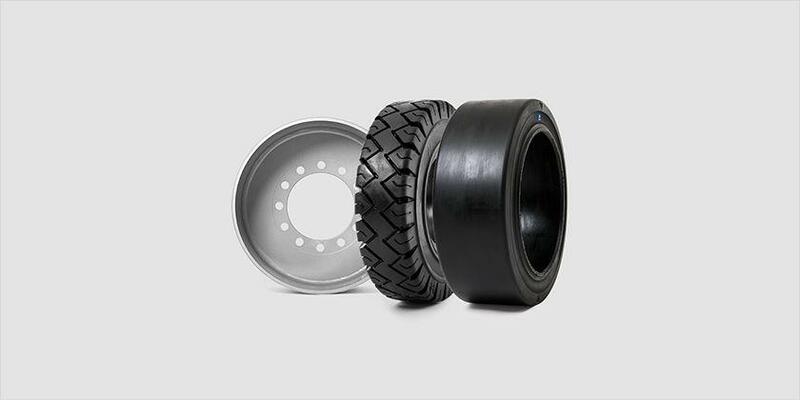 “By teaming up with local players in the region we can broaden our offering and provide customers with top notch, tailor-made tire fill and replacement solutions as well as high performance products from our Camso and Solideal Tire product lines,” says Bob Bulger, Vice-President and General Manager, Solideal On-Site Service in North America. “Being one of the few full-solution providers in off-the-road mobility makes us unique. It differentiates us from our competitors and supports rapid growth in this market,” adds Bulger. Texas is home to the second largest Material Handling equipment market after California in the U.S. Earlier in July, the company made a similar move to further grow its presence when they teamed up with Omni Industrial Tire. Camso, through its Solideal On-Site Service division, is committed to expanding its footprint to bring the most innovative tire solutions to the Material Handling and Compact Construction Markets. “We are 100% behind our equipment dealer, OEA and tire dealer partners, ensuring we help them grow their business profitably while providing best-in-industry solutions to our customers,” says Bulger. Camso, the Road Free company, is a world leader in the design, manufacturing, and distribution of off-road tires, wheels, rubber tracks and undercarriage systems to serve the Material Handling, Construction, Agricultural and Powersports industries. It employs more than 7,500 dedicated employees who place 100% of their effort in 11% of the global tire and track market—the off-road market. It operates advanced R&D centres and manufacturing plants in North and South America, Europe and Asia. Camso supplies its products to leading original equipment manufacturers (OEM) under the names Camso and Solideal and distributes its products in the replacement market through its global distribution network.